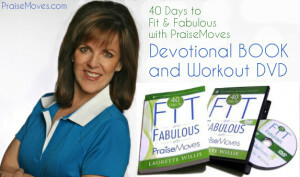 Instead of my interviewing others, tables are turned as David Warren and Roberta Potts of Oasis Radio Network interview me about “40 Days to Fit and Fabulous with PraiseMoves” – my Devotional book & DVD from Destiny Image Publishers. Discover how being Fit & Fabulous is about more than your physical body. Since you are a spirit, soul and body being, any LASTING change you want to make in your body requires that you also include your spirit (who is the real you, made in the image of God, according to Genesis 1:27) and your soul (your mind, will and emotions). So get ready to find out how 40 days can absolutely change your life. Like What You Hear? 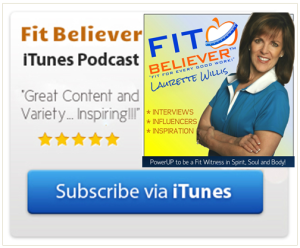 Please Subscribe & Rate Us a 5-Star Review in iTunes! View it in iTunes – to Subscribe, or Leave a Review. Thank you!!! You may also listen to the Podcast in a new window, or download it (see below)..